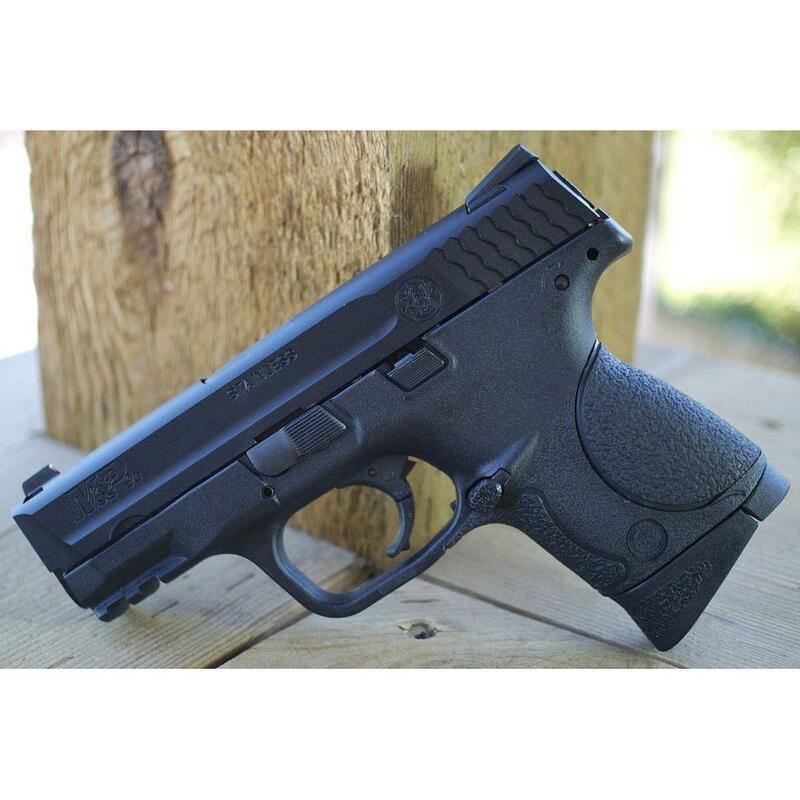 Buy Cheap Smith & Wesson 320511 | ReplicaAirguns.ca | Easter Weekend Sale! Trigger Pull: The Single Action Only trigger pull on the Cybergun - VFC Smith & Wesson M&P 9C GBB Airsoft Pistol is kind of what I would expect form the real Smith & Wesson M&P 9C, fairly light with a small amount of take-up and creep but still fairly short. 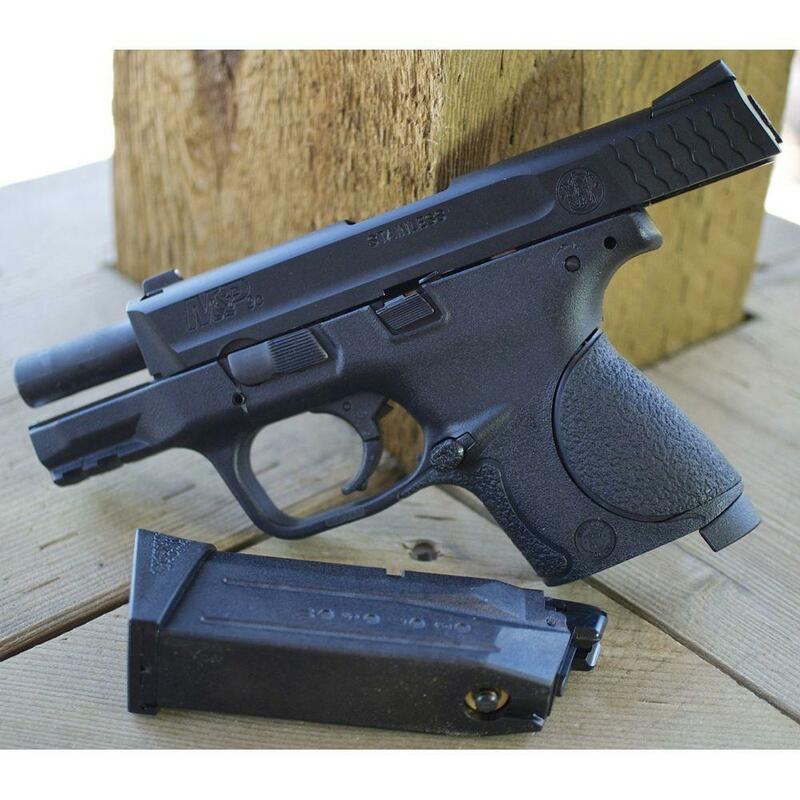 And the trigger safety actually works just the same as the real steel Smith & Wesson M&P 9C! Accuracy: I have already done my dedicated Field Test Shooting Video for the Cybergun - VFC Smith & Wesson M&P 9C GBB Airsoft Pistol so check out the link here, This very short barreled pistol is not going to win any target shooting contests but it fared well and even shot a bit tighter groupings and higher fps than I expected. Most importantly it worked exactly as it was supposed to without any problems. 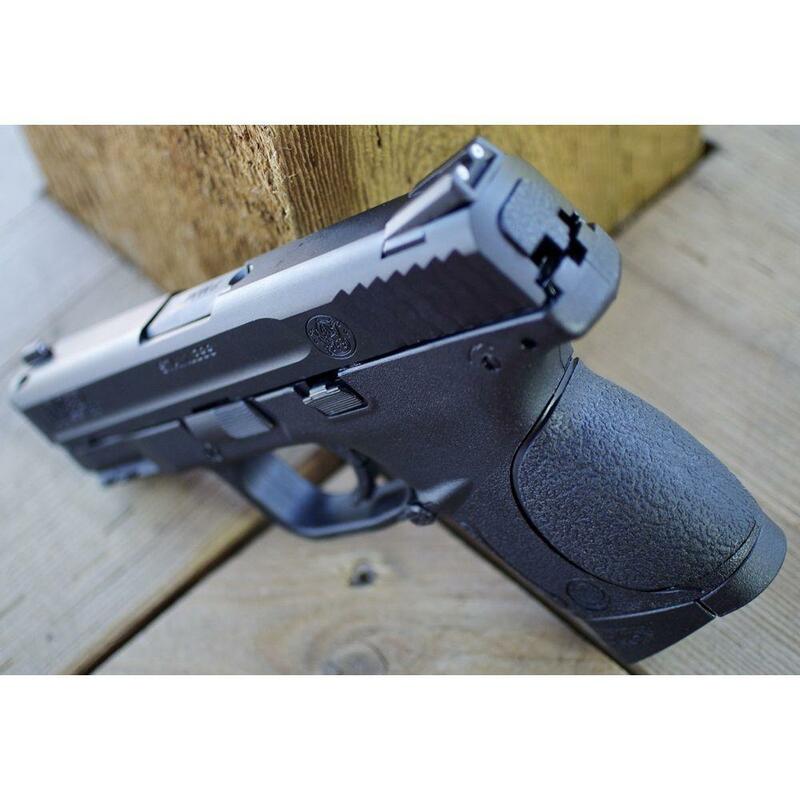 Build Quality: The Cybergun - VFC Smith & Wesson M&P 9C GBB Airsoft Pistol is extremely well built and you will find metal and polymer in pretty much the same places as you would find on a real S&W M&P 9C. Fit and finish and quality of materials seems really good, I am really happy with the work VFC is doing with their guns, at least form what I see here with their Smith & Wesson M&P 9C GBB Airsoft Pistol. Very good weight and solid feeling gun for being so compact. 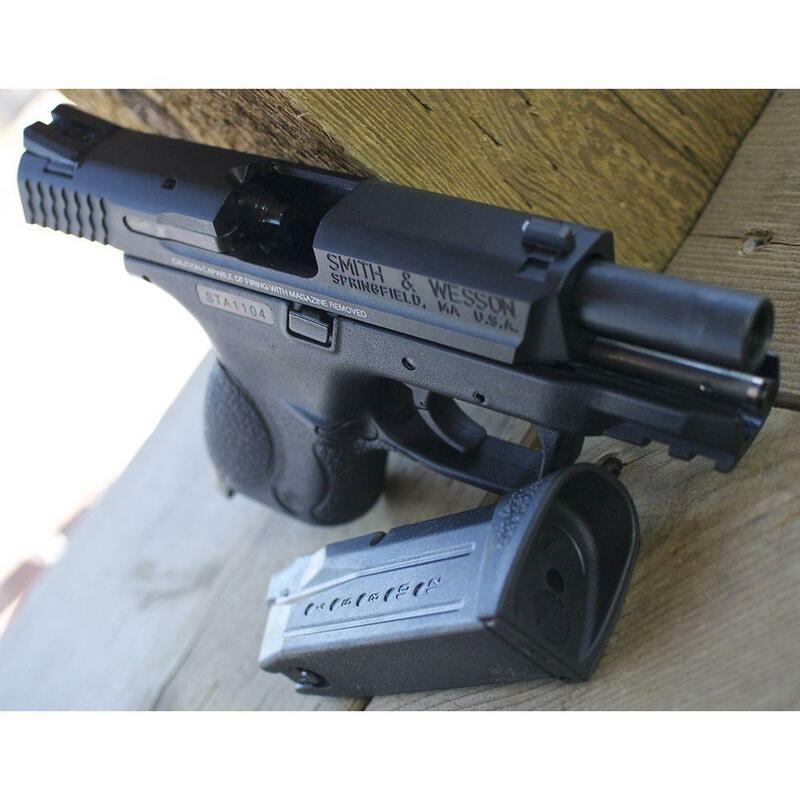 Extremely accurate looking and working Smith & Wesson M&P 9C - Fully licensed..
White dot sights need to be install? Right side slide catch-release is for show only - non-functioning. 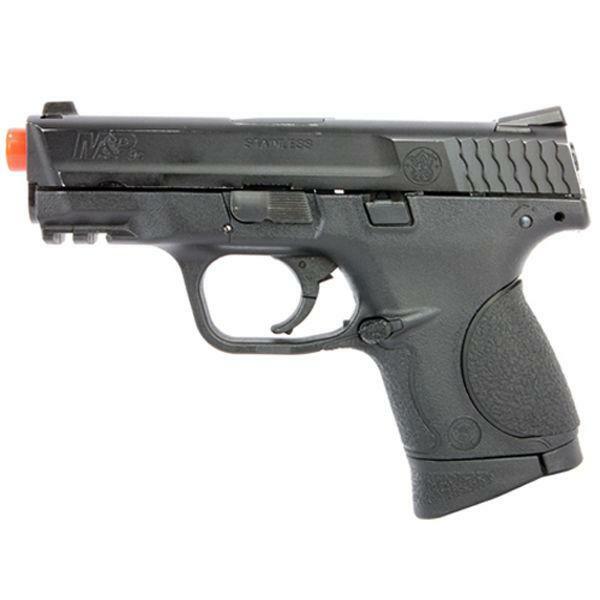 http://www.ReplicaAirguns.com - Cybergun - VFC Smith & Wesson M&P 9C GBB Airsoft Pistol Table Top Review. 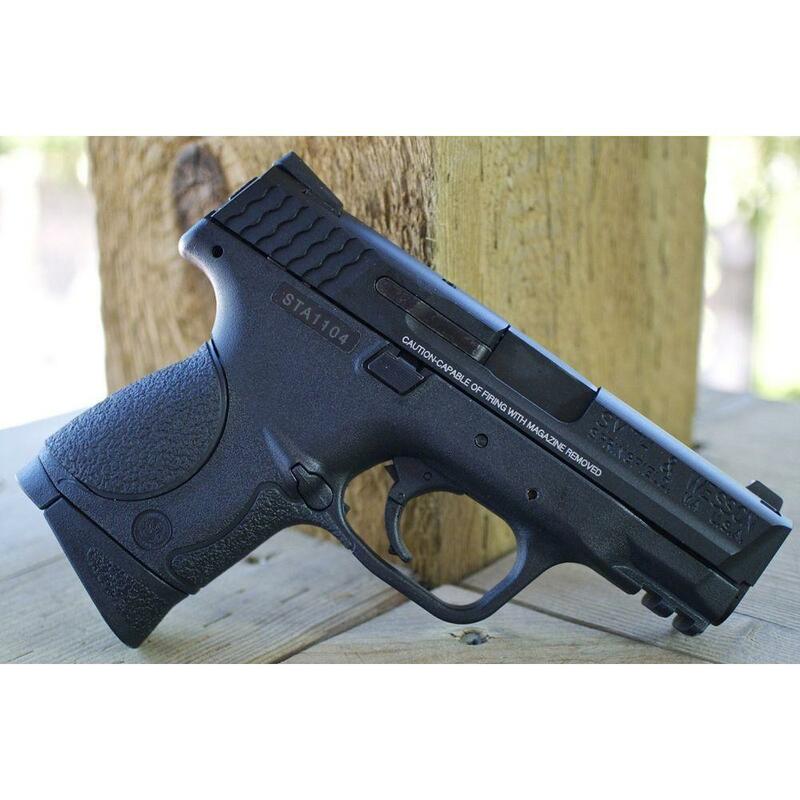 This is the Table Top Review for the Cybergun - VFC Smith & Wesson M&P 9C GBB Airsoft Pistol. 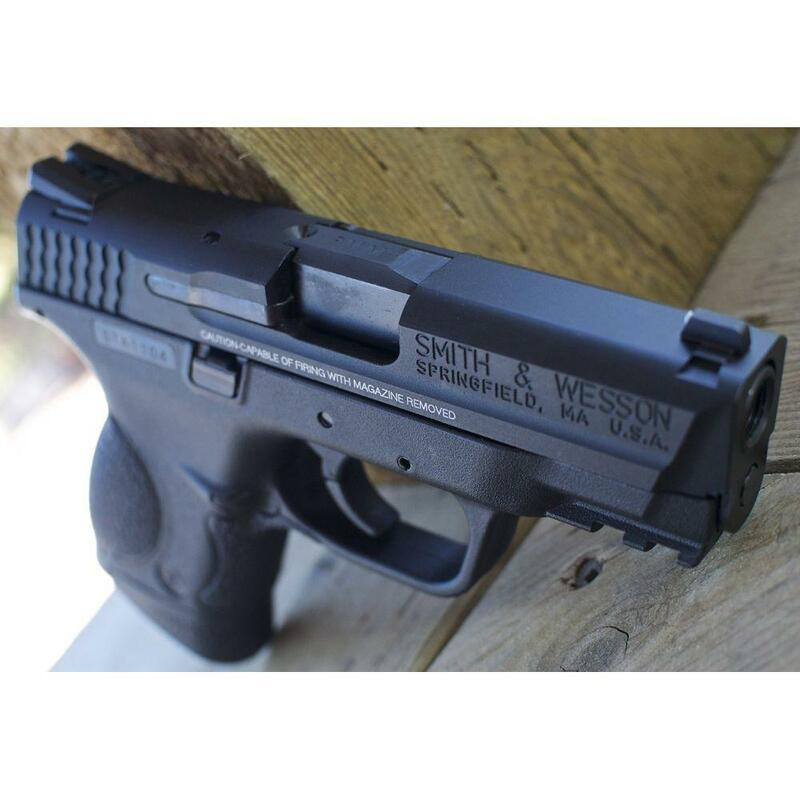 I show you around this very accurate Smith & Wesson M&P 9C replica pistol and go over its main features and specifications. I also talk about some of the pros & cons. The Cybergun - VFC Smith & Wesson M&P 9C GBB Airsoft Pistol is based on the real steel version Smith & Wesson M&P 9C and I have to say this is one of the most bang on replications of any gun I have seen, you would have to get right up close to tell the difference and only then if you looked at either the magazine or you could see the inner Airsoft barrel. This gun is juts that realistic. There is Smith & Wesson licensing and marking all over this gun and even the white warning instructions on the right side of the slide. Of course this Airsoft Replica Pistol field strips and functions just like the real Smith & Wesson M&P 9C Pistol.